Kids of all ages enjoy the wonders of the treetops. Please find our contact information below. 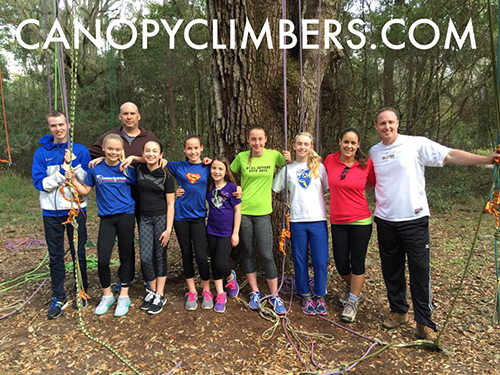 Please note that our clients who book a climbing event will receive an informational email about the climbing location and a detailed location map, about 4 days before their event. The email will containe all necessary information regarding "What to Wear" and "What to Bring" for you and your group to be well-prepared. Check your spam folders if you have not received it within 3 days of your event. If our online booking system (Fareharbor) shows that a particular date and/or time is not available, that means we are completely booked up or we are traveling. We are happy and grateful to be very busy! 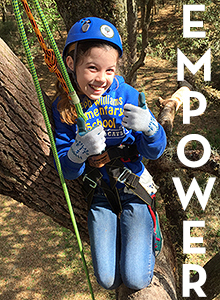 We proudly bring tree-climbing activities to many places around the United States, like Atlanta, GA, Dallas, TX, Mt. Desert Island, ME, and Galena, IL, to name a few. Our busy travel schedule may be the reason for extended blocks of time being unavailable. We appreciate your support and understanding.